Looking for a conservatory roof for your Romsey home? You’ve come to the right place! Traditional conservatory roofs were generally made from polycarbonate, providing lesser thermal performance and in some cases, they became brittle and leaked. Modern conservatories are generally constructed with conservatory roofs that are double glazed, improving their performance and making them more robust and durable. Here at Conservatory Village, we are at the forefront of the conservatory installation industry in Romsey, Hampshire. 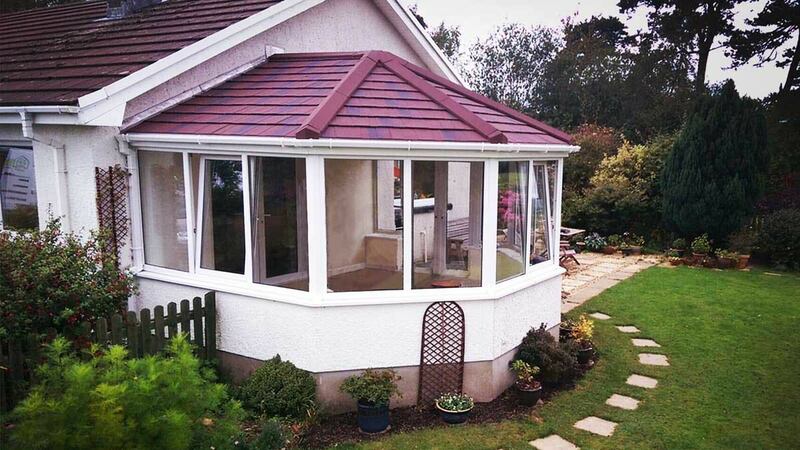 We offer conservatory roofs from the incredible LivinRoof range. These simply outstanding conservatory roofs are a complete revolution in conservatory design, and will enhance your Romsey conservatory in countless ways. Read our guide to the spectacular LivinRoof conservatory roof design and see how it could benefit your Romsey conservatory. Conservatory roofs are one of the most important aspects of your conservatory in Romsey. They protect you from the weather, help to make your conservatory more energy efficient and are a secure and safe ceiling for your glass extension. 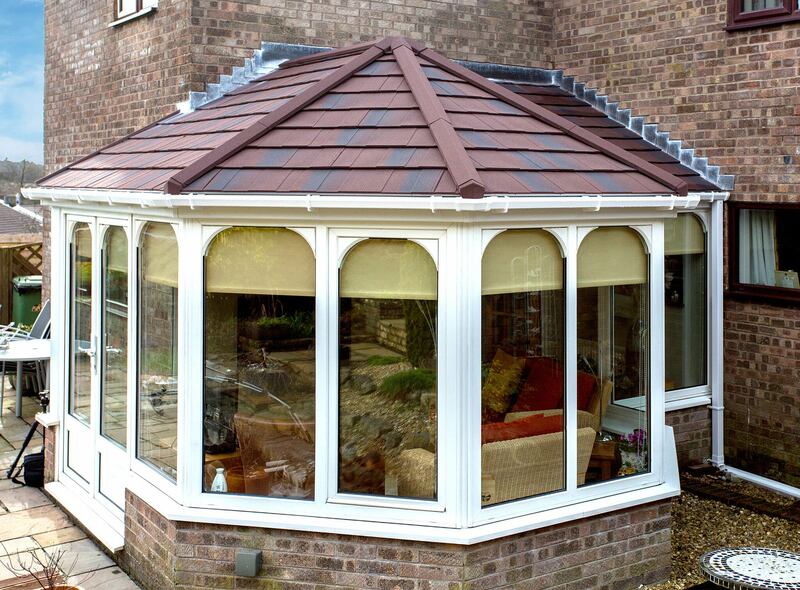 Our conservatory roofs are simply state of the art. We work with both the RealRoof and LivinRoof systems, both of which will provide outstanding all round performance, 365 days of the year. Your Romsey conservatory can go from being a simple sunroom and turn into a combination of extension and conservatory with our conservatory roofs. 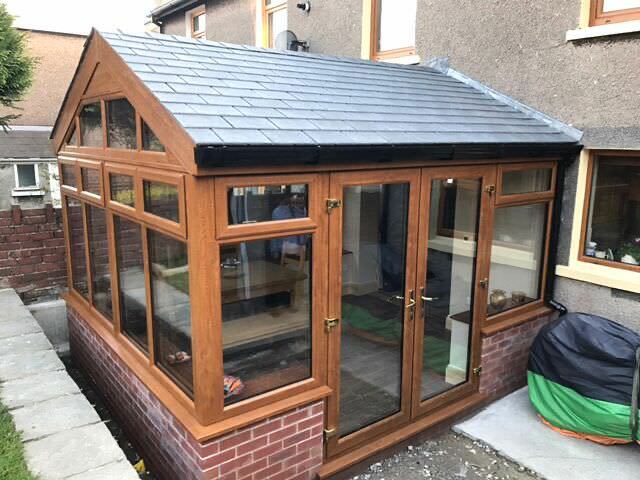 They are designed to create a coupling of glazing and solid roofing so that you get the very best of both worlds making your conservatory a superior additional living space. 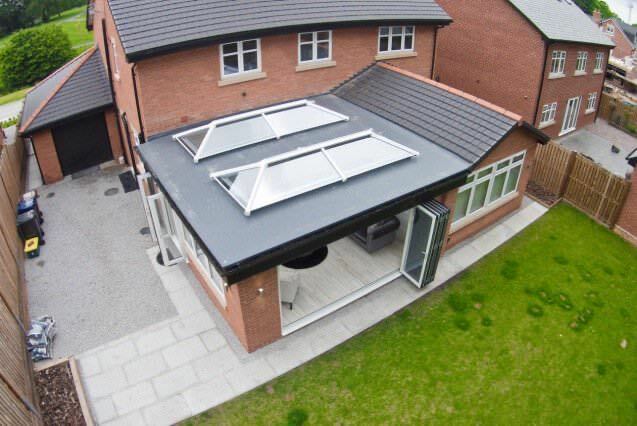 Our LivinRoof conservatory roofs have a unique and innovative design that makes them completely spectacular. They are constructed from a combination of glazing supported by composite external panels and robust energy efficient slab insulation, providing a strong and durable roofing option. 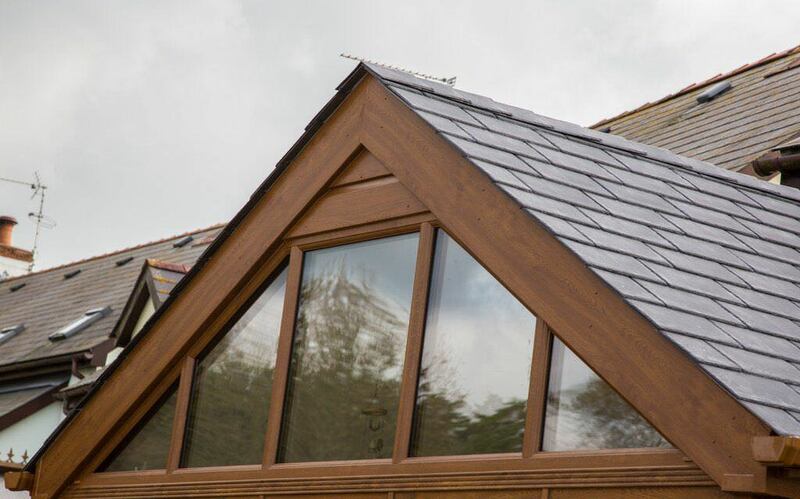 Roof structures need to be sturdy and offer great thermal performance, and the LivinRoof conservatory roof does all this and more, enabling you to have access to additional natural light, ensuring your conservatory is a bright and airy place to be. This revolutionary conservatory roofs design will ensure that your conservatory offers the very best thermal performance possible. The LivinRoof is so energy efficient, that it offers 15 times more performance than traditional polycarbonate conservatory roofs. Ideal for if you want your Romsey conservatory to provide a functional space that is comfortable all year round. No matter what shape or size your conservatory is or will be, our conservatory roofs can be tailored to offer the perfect fit. The LivinRoof conservatory roofs are uniquely versatile, enabling them to be adapted to any shape or size. This means that even if your Romsey home has an older conservatory that needs refurbishment, our conservatory roofs can be used to improve it and refresh it. Conservatory roofs from LivinRoof are a great enhancement for conservatories of all styles, from Victorian conservatories, Edwardian conservatories, and lean-to conservatories through to gable end conservatories and bespoke conservatories in Romsey. Choosing conservatory roofs from the LivinRoof range enables you to create a stylish interior for your Romsey conservatory. With our conservatory roofs installation, you will benefit from the interior being finished off with plasterboard for a high quality and smooth appearance. You can decorate your new ceiling in any standard paint so that it complements and blends in with your Romsey home’s interior décor. In addition to this, we offer the option of lit pelmets with our conservatory roofs. Your conservatory will have a wonderful luxury feel with our conservatory roofs, and the LivinRoof interior pelmet will be the perfect finish to create that premium appearance. Our conservatory roofs from LivinRoof come in a standard shade of Urban Grey which is the perfect option to create a stylish, blended look with the rest of your Romsey home. 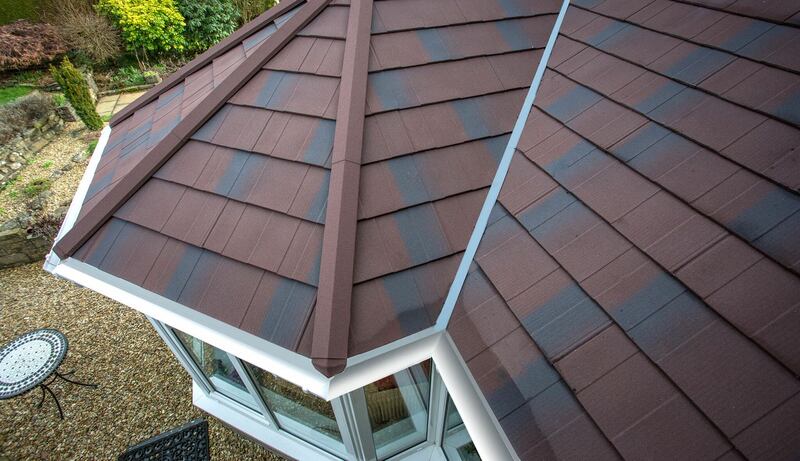 This tasteful colour creates an appearance that mirrors traditional lead roofs so that you achieve a classical, yet timeless look for your home. Our conservatory Roofs look amazing from both the inside and the outside, enhancing the aesthetic of your Romsey home as well as the performance of your conservatory. Our conservatory roofs are one of the most beneficial additions that you can make to your Romsey conservatory, so why not contact us to find out more about these stylish additions to your home. We would love to talk to you about how your conservatory can be enhanced, creating a fusion between a stylish sunroom and a traditional extension with our conservatory roofs. Enable your conservatory to reach its full potential with stunning conservatory roofs from Conservatory Village in Romsey.